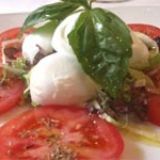 Da Mario Restaurant is a traditional Italian restaurant serving a variety of authentic dishes. 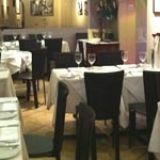 Located away from the hustle and bustle of central Covent Garden, Da Mario is ideal for all occasions. Do you work at Da Mario Restaurant? What did you think of Da Mario Restaurant? Chose to eat at Da Mario Restaurant as it was near the theatre we were going to that evening. I have to say that the food exceeded all expectations! Everything we had was delicious and the waiters were lovely. Da Mario Restaurant gets the thumbs up from me! Nothing’s better than decent Italian food, and Da Mario Restaurant do great Italian food. The pizza is spot on, the pasta great and they have a wine list that won’t leave you brassic by the end of the night. I heartily recommend Da Mario Restaurant. I had quite an interesting night at Da Mario's. The food was very nice, good service and thought the price was fair. However, I ordered a glass of Rioja with my dinner and enjoyed it so much I decided to purchase the bottle at £20. After we paid the the bill and collected the wine I exited the restaurant to only be grappled by Da Mario employee who thought I had stolen the bottle of wine. As we were grappling outside the door I told him many times that I had purchased the wine and he was going to be very embarrased at the situation. After another 15 seconds or so we ended up flying back through the front door with neither of us willing to let go of the bottle(lucky it didn't break!) Thankfully 3 or 4 Da Mario waiters and the manager came out and dragged the man out back. The waiters and manager was very apologetic and all is forgiven. But be warned people, when buying a bottle of wine in Da Mario's, watch out for the little man who stands outside!! I would of given 4stars but after that, I think 3stars is fair. Dan. I am Italian. I have been here once and although the food was decent, it was definitely too expensive. You can have definitely better quality at a more reasonable price at any spaghetti house. We found this place online and had a great evening here with some friends from the States. Every dish was well prepared and the service was outstanding. Reasonable prices for the area and quality of food, will definitely return here. Highly recommended. Also have a drink beforehand at the Cross keys pub. Have been here a few times, and thought would be nice to treat my girlfriend after her graduation yesterday. Booked a table a week in advance, and arrived to hear that '...haha, we have a slight problem...' from a rather unsympathetic looking manager. The table we booked was already occupied, and the offer was a sad looking spot next to the entrance, with a free drink. Sorry, we don't book a week in advance to have a cosy and intimate occasion get spoiled by a drafty door on a cold September evening. Expected a lot better service, so we didn't bother staying. It was a shame as the food is usually quite nice. You don't just go for a meal for the food though, the experience includes treatment and the ambiance, and people rushing past with wet umbrella's isn't always desirable. Considering we made the effort to go here, in the future we'll make the effort to look elsewhere. Shame really. Good food, but should be treated a lot better. Disappointing. I have to say it is unbelievable for a restaurant that is supposed to be "Italian". The Service is appalling, it is not clean at all! the food is very avarage italian! The staff is rude. It is a small cantine where to go when you do not have choice! I went there with girlfrind on Saturday 19th as her birthday treat after reading lots of positive reviews. It came as no surpise to me that everything i read was TRUE and better than expected. Staff were fantanstic and were always there to top up the wine and give advise on food/drink. Food served very quickly and was the BEST Italian we have EVER had. All prices were sensible and not the extorsionate,silly West End nonsense. Believe everything you read that is positive about Da Marios and will NOT be disappointed. I had a very enjoyable meal at Da Mario, a small cozy restaurant in the heart of Covent Garden. There was a good choice on the menu including specials and friendly and attentive staff. I thought Da Mario was reasonably priced for the area too. We chose Da Mario restaurant because it was near the cambridge theatre. What a lovely place it is! We were four of us and we all had an exellent meal. The homemade ravioli with asparagus were the best I ever tasted before and so was the homemade apple tart. It is small, cosy and the service very attentive. We would highly recommend it. Book the table because we were there during the week and it was packed. Bustling and lively, Da Mario is an authentic and friendly little spot, conveniently located just a stone’s throw from Covent Garden. With some safe menu choices and a reasonable wine list, this place would suit a quick pre-theatre bite to eat – although the prices, relative to the dining experience you get here, may feel a tiny bit steep, and the service a little slow. 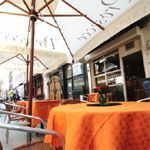 Situated on Endell Street, only a few metres from the heart of Covent Garden, Da Mario’s location is perfect for pre-theatre dining – a market which they clearly aim to cater for. With a simple white façade and clean décor inside – white-washed walls, vinyl flooring, tables draped with large white tablecloths and simple black seating – Da Mario feels like a humble, authentic Italian eatery. Midweek, Da Mario is bustling, fully making use of all those people looking for pre-theatre diner. Booking is recommended here; otherwise expect to wait for a table – and be prepared to wait even if you have booked as things are a little chaotic here, albeit charmingly so. Da Mario isn’t a large venue, with a narrow entrance leading into the dining area itself, but its compactness adds to the bustle, with conversation from both the diners and the Italian staff filling the space. Expect the owners to greet you with a smile, and the service to be friendly and professional, albeit very laid-back – you may find yourself having to rush things along a little if you need to be dining fairly quickly. However, if you fancy staying for a little while, you won't get rushed - which is always a pleasure. The food here is a perfect match to the restaurant’s décor and atmosphere; simple, authentic Italian. 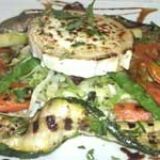 For antipasti, perhaps try the insalata della casa - marinated grilled vegetables with goat’s cheese. Whilst the vegetables themselves may be a little plain, there’s a generous portion of creamy goat’s cheese to make up for it. Alternatively, for something simpler, try the burratina rucola e pomodori – mozzarella with vine tomatoes, rocket, basil and olive oil. Well presented, the tomatoes are fresh and the mozzarella is creamy; it's a good choice. For secondi piatti, try the bistecca al pepe verde (£14.50) - tender sirloin steak strips served with peppercorn sauce. It might not be beautifully presented but it certainly tastes good. Alternatively, there are plenty of pastas on the menu, or you can go for one of the specials, such as the fusilli with meatballs. With the pasta cooked to perfection and a generous portion of meat, it’s a sound choice. The dessert selection at Da Mario is good, offering a little bit of everything for the Italian food fan; the crème brûlée (£4.90), for example, is soft and creamy, with a good crunch on top. For something a little different, go for the ciambella con mascarpone e nutell (£4.50); essentially a large warm ring doughnut served with mascarpone cheese and Nutella. The portion size is again generous, even if the dough itself is more savoury than sweet. The house white here is a decent choice. At just shy of £14, it's fresh and fruity, slightly dry and pleasant enough to drink. There's certainly scope for more extravagant choices, and there's some pretty good value to be had if you head toward the more expensive options as they compare favourably with neighbouring venues. 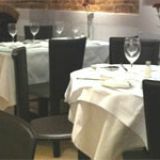 Simple, bustling and serving humble Italian food, Da Mario is a safe choice for pre-theatre dining in Covent Garden. While the menu choices may not inspire – nor, indeed, represent the highest quality of Italian dining available in London – this restaurant makes for a pleasant enough experience nonetheless.